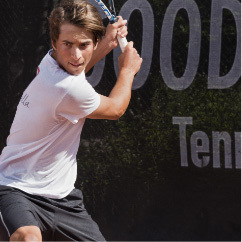 Our programs at Good to Great Tennis Academy are high performance programs for those who are commited to reach their full potential in their tennis. Today we offer four different programs Annual, Weekly, Daily and After school program. We are also running summer camps during the summer. The programs are guided and taught by coaches that are handpicked by the founders. Our focus is on the individual and all time with a long-term view, based on the Good to Great model and the coaches experience from world class level. Our coaches travel with players to competitions. We have a program with selected tournament each year. The player who are in any of our sponsored teams have more support. The players at the academy also have a professional team working daily with the players fitness, treatment and rehab. We have a cooperation with Laurel Springs School that are available for all ages. As mentioned above, we work very individually with each player and take into account progression in physical development and age and also playing style. We describe the programs seperately below. For further information please contact Lovisa Hällback, who is administratively responsible for admissions. 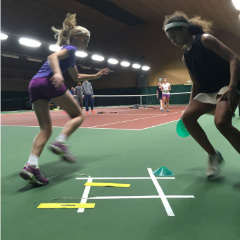 Good to Great Tennis Academy is an independent and private education. For more information contact Lovisa Hällback who is responsible for admissions.